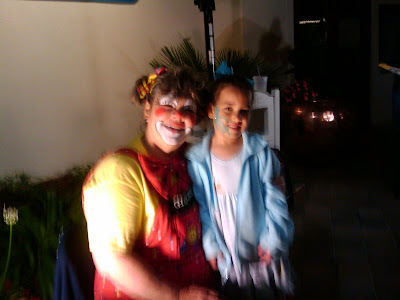 So apparently, Giggles the clown thinks I am Olivia's sister. And that her grandparents are her parents. That is definitely a first! But she loves her octopus face paint and butterfly balloon! You know people used to think I was Mercy's babysitter all the time, and then when I had John they thought the kids were mine but if I was out with my dad, they thought he was my husband!! The things people think!! !